With Apple expected to reveal some of the big features of iOS 12 in a couple of weeks' time, there's some advance news on what one of those features might be: the ability to use your iPhone as a secure door key for a hotel room, thanks to the magic of Near Field Communication (NFC). That's just one of the potential uses of the technology, which is being opened up to developers in iOS 12, according to The Information. Apps not made by Apple were given a limited amount of access to the iPhone NFC chip with iOS 11, but apparently a lot of the restrictions are going to be lifted, letting developers build more advanced features. Like, for example, tapping on your hotel room door lock to get inside (something you can already do with an Apple Watch). The NFC chip is currently used for Apple Pay, and it could also be used to let you into your car or to pay for your ride on public transit. Which phones will get it? The new functionality is reportedly going to be announced at this year's Apple's developer conference, WWDC 2018, which gets underway on June 4. The Information says Apple employees have already been using the new unlock capabilities at the company's headquarters in Cupertino. NFC chips have been included in every iPhone since the iPhone 6 from 2014, so as long as your phone isn't any older than that, you'll be able to take advantage of whatever new features Apple has planned. It looks like iOS 12 won't make it to the iPhone 5S anyway, which will be left stuck on iOS 11. We will of course bring you all the news from WWDC as it happens the week after next. 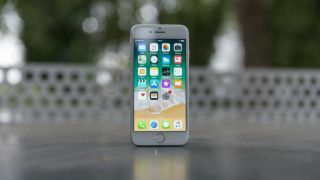 The rumors are that Apple is going to focus on reliability and stability this time around, so there may not be too many major features to talk about.